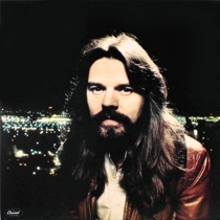 Robert Clark Seger is an American singer-songwriter, guitarist and pianist. As a locally successful Detroit-area artist, he performed and recorded as Bob Seger and the Last Heard and Bob Seger System throughout the 1960s, breaking through with his first national hit and album in 1968. By the early 1970s, he had dropped the 'System' from his recordings and continued to strive for broader success with various other bands. In 1973, he put together the Silver Bullet Band, with a group of Detroit-area musicians, with whom he became most successful on the national level with the album Live Bullet (1976), recorded live with the Silver Bullet Band in 1975 at Cobo Hall in Detroit, Michigan. In 1976, he achieved a national breakout with the studio album Night Moves. On his studio albums, he also worked extensively with the Alabama-based Muscle Shoals Rhythm Section, which appeared on several of Seger's best-selling singles and albums. LIVE BULLET bring the Bob Seger experience to the theatre stage.